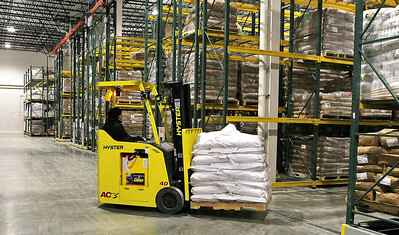 H. Rick Bamman - hbamman@shawmedia.com A Pedigree Ovens employee moves a pallet of product in the new 215,000 square foot facility in Harvard on Thursday, Jan. 11, 2018. When completed the pet treat and food manufacturing facility will be the largest in North America. H. Rick Bamman - hbamman@shawmedia.com Working in front of one of the ovensKey West Metals welder Chris Tinsley works Thursday, Jan. 11, 2018 on a conveyer tube in the oven room of the PetDine and Pedigree Ovens new 215,000 square foot facility in Harvard. The pet treat and food manufacturing company opened in 1996. 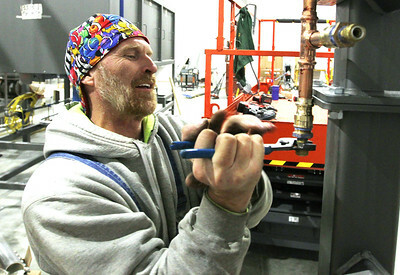 H. Rick Bamman - hbamman@shawmedia.com Troy Klutts of Hartwig Plumbing instals steam pipes Thursday, Jan. 11, 2018 on the production floor of the new 215,000 square foot PetDine and Pedigree Ovens facility in Harvard. The site will be the largest pet treat plant in North America. 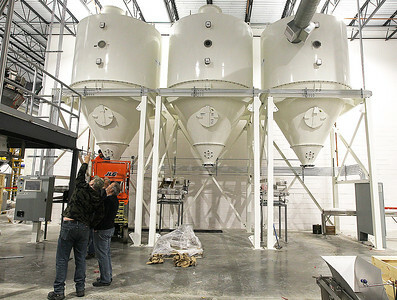 H. Rick Bamman - hbamman@shawmedia.com Product hoppers are installed on Thursday, Jan. 11, 2018 at the new 215,000 square foot PetDine and Pedigree Ovens facility in Harvard. The expansion of the pet treat and food manufacturing facility makes the company the largest in North America. 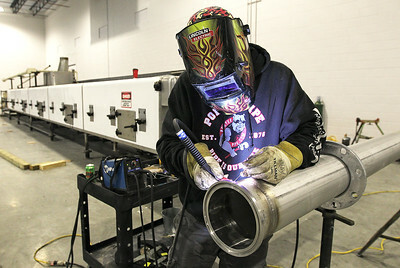 H. Rick Bamman - hbamman@shawmedia.com Equipment is installed on the production floor of the new 215,000 square foot PetDine and Pedigree Ovens facility in Harvard. The expansion of the pet treat and food manufacturing facility makes the company the largest in North America. 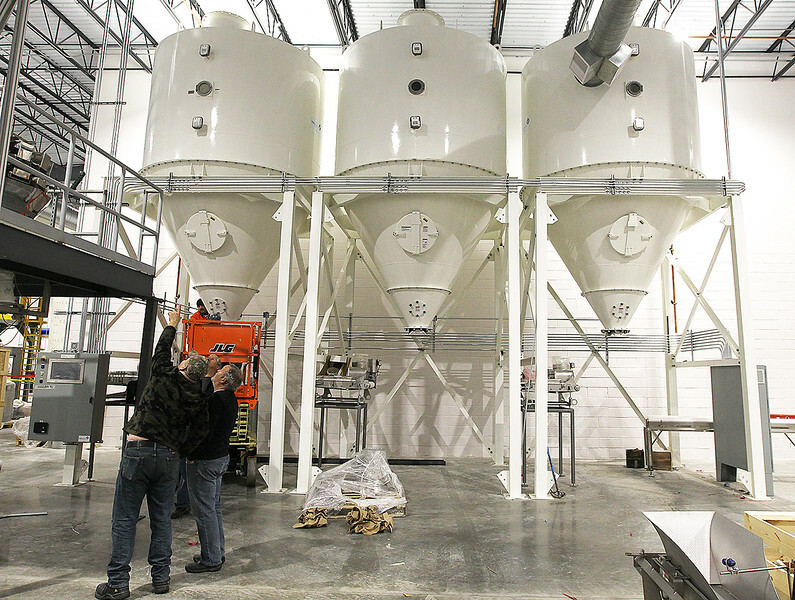 Product hoppers are installed on Thursday, Jan. 11, 2018 at the new 215,000 square foot PetDine and Pedigree Ovens facility in Harvard. 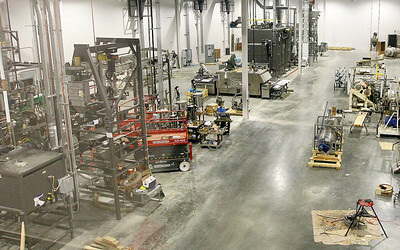 The expansion of the pet treat and food manufacturing facility makes the company the largest in North America.